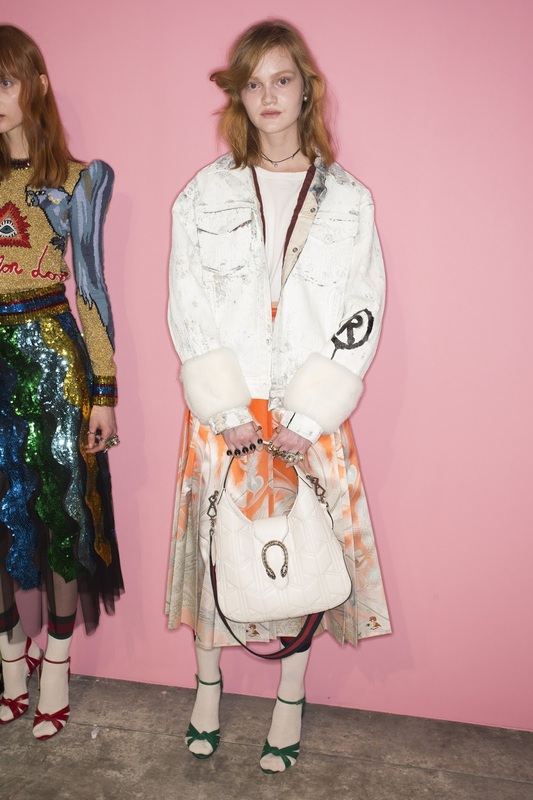 In just 12 months Alessandro Michele, creative director of Gucci, has remerged italian brand as one of the most directional brands in fashion. On the first day of Milan Fashion Week, Lallo25 (as Alessandro is know on Instagram) showed his collection for the autumn/winter 2016. 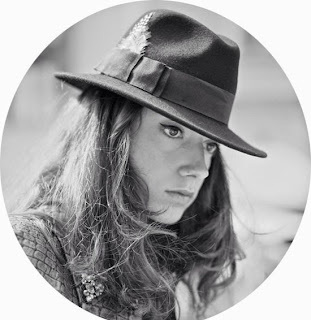 The show was amazing and I love the vintage feeling, that Michele calls the Renaissance-era. Michele has for sure set the tone at Gucci, adding graphics, puffed sleeves, ruffles, fur, 70s lame and 80s sunnies. 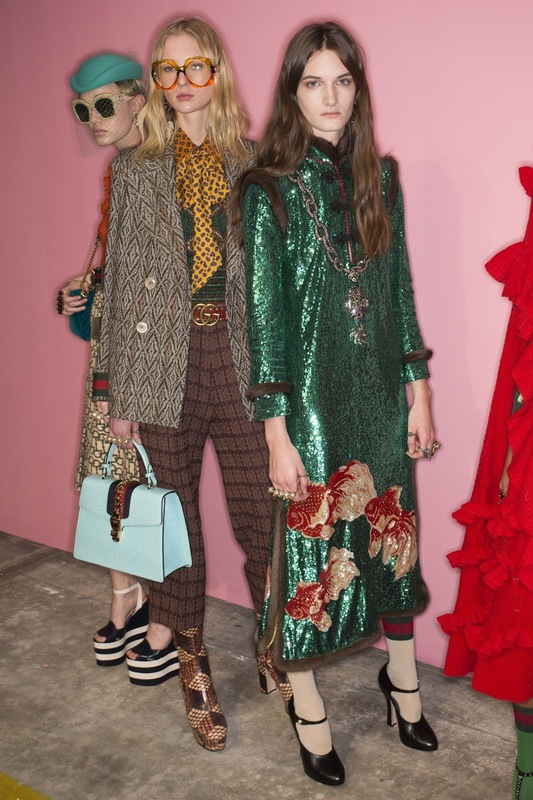 Think the It girls of the era time-travelling to the 1970s, takin acid while embracing feathers and furs with an undertone of experiment in monochromatic dressing.And perhaps the new it-bag for fall is the real Gucci? It is now on my wish-list together with the army coloured bomber with the GG tag on back! Backstage is by far the best way to see how good Michele is. Each stand for every model looks like a mini-store in itself, with giant suede wedges and ’70s lamé disco sandals standing on shoe boxes. I love every single piece and I am obsessed with new Gucci aesthetic. Great job Lallo!